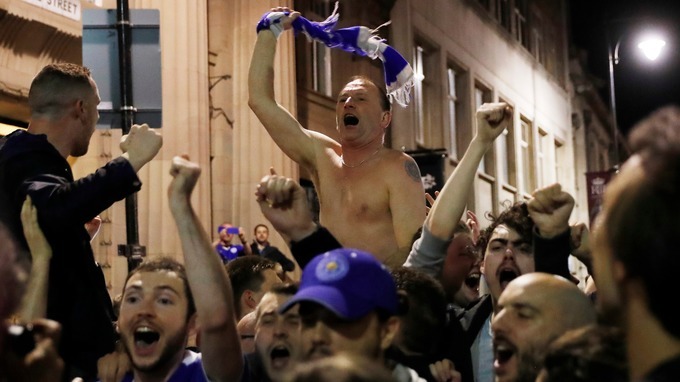 Leicester fans may not have known it at the time, but they have been waiting their entire lives for this moment; the moment the Foxes won the Premier League. Chelsea’s fightback from 2-0 down against Tottenham was enough to ensure Leicester couldn’t be caught with the games remaining, and the celebrations that ensued were incredible. 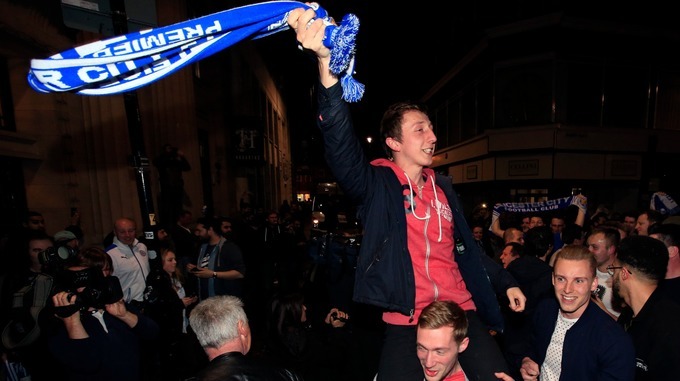 The players were obviously going crazy when the final whistle went, but the fans took it to a whole other level. 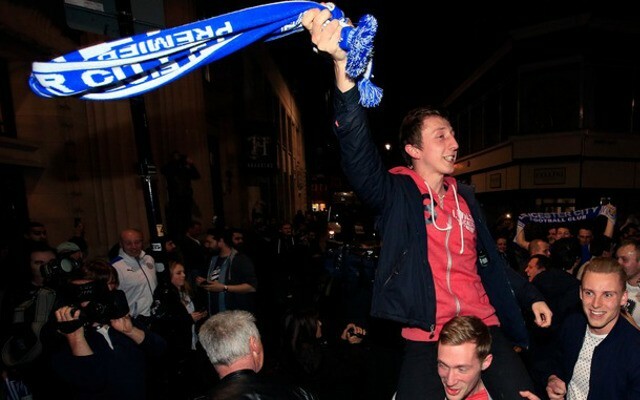 They poured into the streets at ten o’clock at night to celebrate the result, with their team essentially crowned champions on Monday night without even having to kick a ball. This truly is an unprecedented moment, and one that will go down in history as one of the most monumental sporting achievements ever. It seems unlikely, in fact, that something like this will ever happen again in any of our lifetimes, but who knows, perhaps this will set a precedent. The money involved in the Premier League now and the increased scouting presence across the globe is arguably seeing teams move closer together, and the English top flight is now more competitive than ever. This season was one of the most bizarre in history, with the likes of Chelsea and Manchester City struggling, while Leicester City of all teams flew highest. This celebration isn’t one that’s likely to end anytime soon, and we’re likely to be hearing more from the Leicester fans for quite some time. And they’re right to be so ecstatic, as this really is one of the biggest achievements in sporting history.